The first ICXOM congress held in Cambridge was the brain-child of Dr. Ellis Cosslett, founder of the Electron Optics Section of the Cavendish Laboratory. Dr. Cosslett pioneered research in x-ray optics and microanalysis and retained a close interest in all subject applications for this area of research, including physics, materials science, chemistry, and biology. 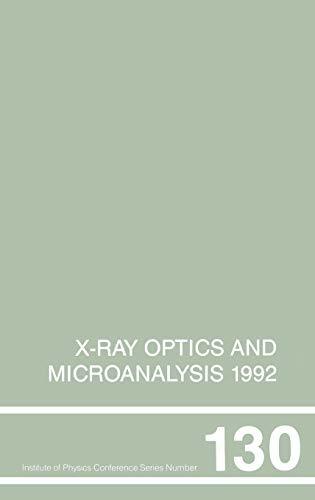 X-Ray Optics and Microanalysis 1992 was held in his memory. At a special symposium, friends and colleagues reviewed the present status of research in x-ray optics and microanalysis. S.J. Pennycook of Oak Ridge National Laboratory, D.B. Williams of Lehigh University, J.A. Venables et al. of Arizona State University and Sussex University, and C. Jacobsen et al. of SUNY, Stony Brook are among the researchers whose papers are included in this volume.